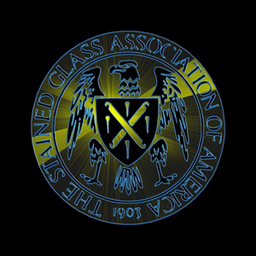 The Stained Glass Association of American is the parent organization of the Stained Glass School in Raytown, Missouri. Its membership is made up of the finest stained glass architects and artisans in the U.S. and around the world. Many congregations have installed or are considering stained glass in new construction. This site provides valuable information. One of its dozens of publications is called The Source Book. It discusses reasons for including stained glass in new construction, examples of stained glass installations and artisans who produce the works, as well as various techniques and new developments in the field of stained glass. The Association also sponsors a national event each year to celebrate new developments in stained glass. Links on the website include an online discussion forum for those who have questions about stained glass, a directory of local artisans for those looking for local sources, and a technical manual for artisans themselves. There is also a huge web gallery with over 112 pages of thumbnail examples of stained glass creations.